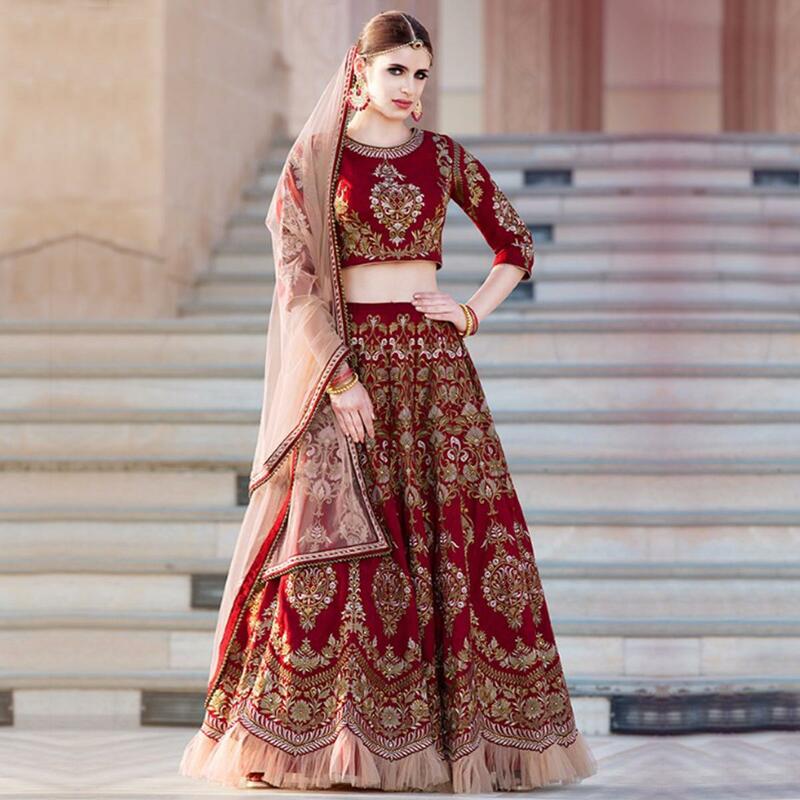 Look like a diva and shine like a star wearing this maroon lehenga choli. 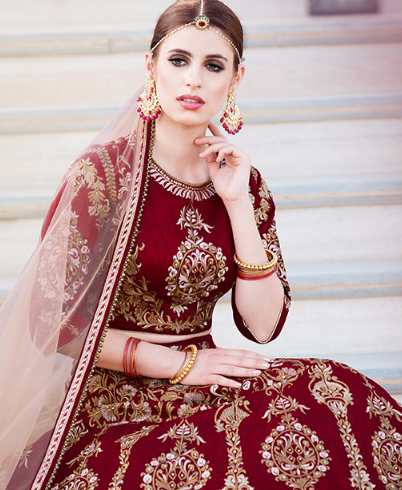 Featuring maroon color banglori silk fabric lehenga intensified with thread. heavy embroidery zari embellishment and beige color soft net fabric pallu showcasing lace work border. Accompanied with santoon fabric blouse piece worked with zari thread and embroidery. 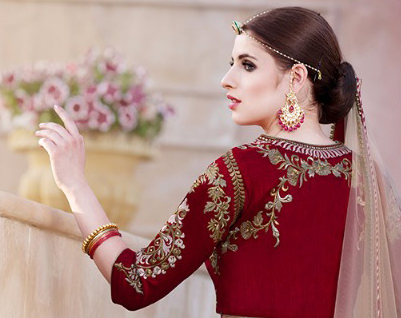 This designer outfit created with exquisite skill and bold color is an excellent choice to wear at weddings and special occasions. Team it with necklace set and ethnic accessories to make your look best from the rest.